What is religion? What does religious practice mean to different people? How is religion manifested in their daily lives of some people? What effects do outward representation of religion and open expression of religious ritual have on members/non-members? 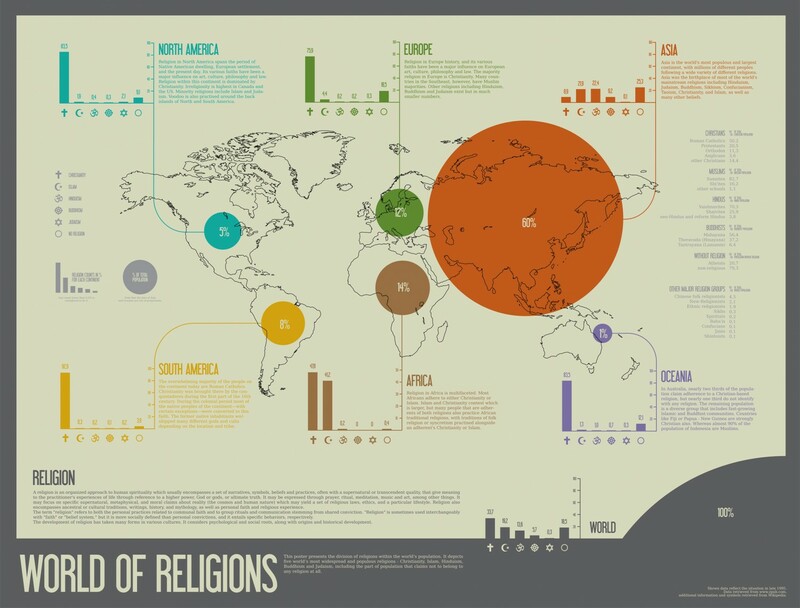 What attracts people to one religion or another? What/who does it conflict with? Why? After you have answered the 6 questions, choose one of the six religions and create a poster using the format below.